Last week I wrote that everything you believe is untrue. However, just because your beliefs are untrue doesn’t mean they’re not powerful. 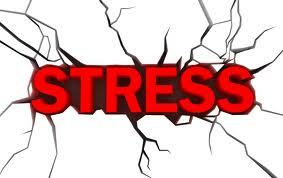 How much stress have you experienced over the last year? Before we go on, answer those questions for yourself. The study then used public death records to see who died. The bad news is that people who experience a lot of stress and believe stress is harmful had a 43% more chance of dying over the next 12 months. But the amazing thing is that people who didn't believe stress is harmful were no more likely to die, regardless of how much stress they experienced. Apparently it’s not stress that’s dangerous, it’s the belief that stress is harmful for your health that could kill you. The authors of the study estimated that over the eight years of the study 182,000 Americans died prematurely from the belief that stress is bad for you. That makes that belief the 15th largest cause of death in the US … more dangerous that HIV/AIDS or homicide. Food for thought. Love to hear your thoughts – what do you think about a belief being powerful enough to kill? You can leave them below.